locations within the District. This meeting is one of those five identical meetings. 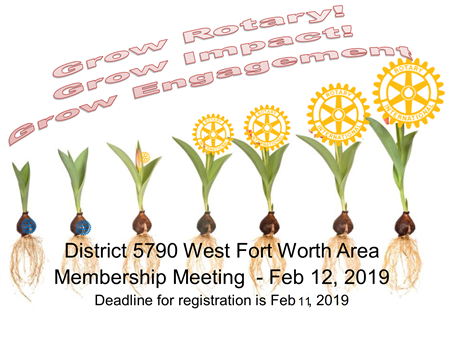 We will be asking Clubs to choose the most convenient meeting location for their club and cancel their meetings the week they plan to attend the Multi-Club Luncheon that fits their needs. If your Club is unable to change your meeting date or place, we will expect the Leadership, Membership, and Public Image Teams from your Club to attend one of the Multi-Club Luncheons.